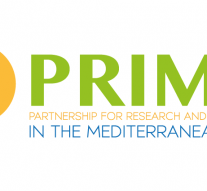 On the 17th December, new call for proposals were lunched under Prima, the Partnership for Research and Innovation in the Mediterranean Area. The overall objective of the PRIMA programme is to build research and innovation capacities and to develop knowledge and common innovative solutions for agro-food systems, to make them sustainable, and for integrated water provision and management in the Mediterranean area, to make those systems and that provision and management more climate resilient, efficient, cost-effective and environmentally and socially sustainable, and to contribute to solving water scarcity, food security, nutrition, health, well-being and migration problems upstream. In section 1, actions are evaluated, selected and funded in line with the Rules for Participation of Horizon 2020 and are centrally managed by the PRIMA-IS. Grant agreements are to be signed with PRIMA-IS on the basis of the H2020 Model Grant Agreement. Section 1 Actions will encompass topics under the three thematic areas (water management; farming system and food value chain) and topics focusing specifically in the interdependencies (nexus) among them, under an additional thematic area devoted to the nexus theme. « Previous Article Employment Related Issues: a Key Aspect Toward Next European Elections?